AccuWeigh has recently designed and built a Shipping Container Weigher that can be disassembled and contained in a standard shipping container for overseas transport. The Shipping Container Weigher is then ready to be reassembled on site, much like IKEA furniture, only on a bigger scale. 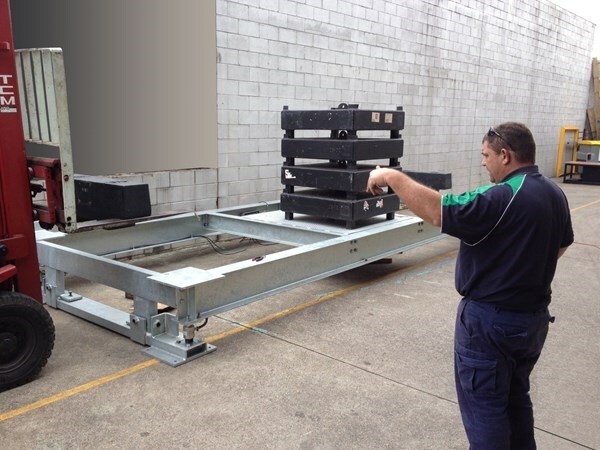 This Shipping Container Weigher was initially assembled in the carpark of our Brisbane South branch for testing and calibration to 40 tonne. 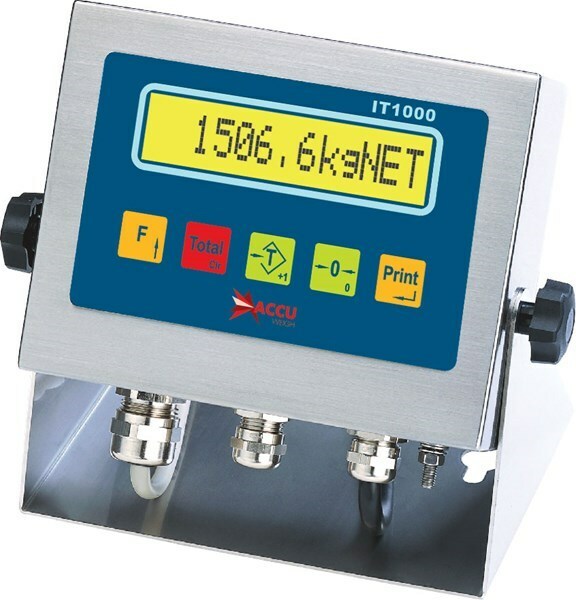 We also set up the digital weight indicator to communicate with a large-digit remote display. 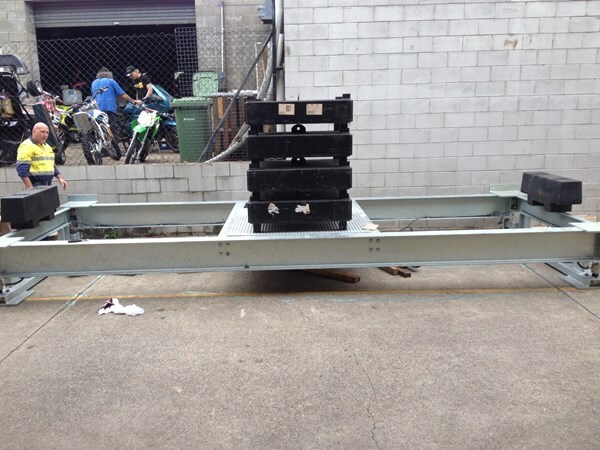 Once calibrated, we disassembled the Shipping Container Weigher ready for transport to PNG. 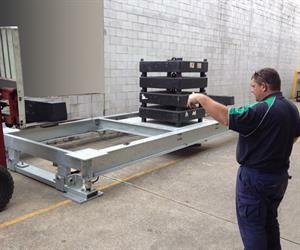 This style of Shipping Container Weigher reduces the transport costs involved with overseas transport because it can be reduced to fit in to a shipping container. Whether one of our standard Shipping Container Weighers, or this bolt-together type, a Shipping Container Weigher can help you become compliant with the new Safety of Life at Sea (SOLAS) requirements.